So what are the Top 10 Favourite Childhood Books? New research has revealed the UK’s top 10 childhood books that are perfect for keeping the kids occupied during the summer holidays. 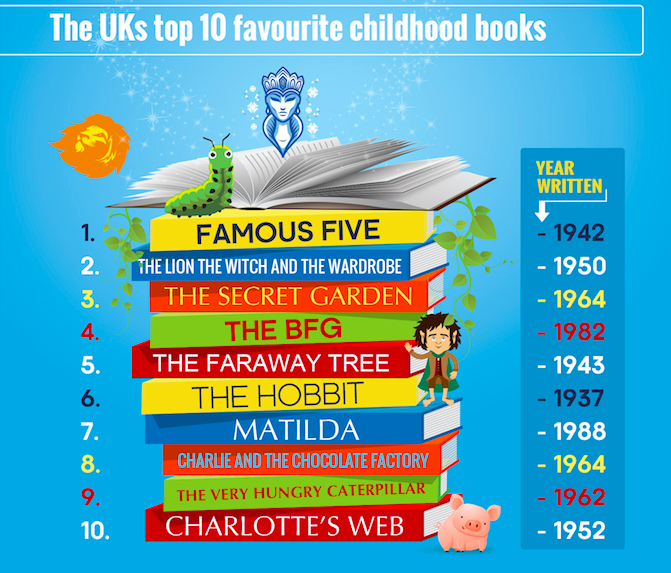 It revealed that the classics are still the best childhood books around with Famous Five taking the top spot. Famous Five (1942) takes the top spot of the nations favourite childhood book. The Lion, The Witch And The Wardrobe (1950) came second, followed by Secret Garden (1911) in third. The research revealed that Brits believe that reading is the most important skill a child will ever learn. One in five Brits stated that reading a bedtime story is their favourite childhood memory. Forget Harry Potter, Hunger Games or The Gruffalo – the best children’s books were written long before today’s generation’s grandparents were even born. New research to find the best children’s book of all time has revealed that it’s classics from the 1940s and beyond that are still the most picked up and fondest remembered stories. 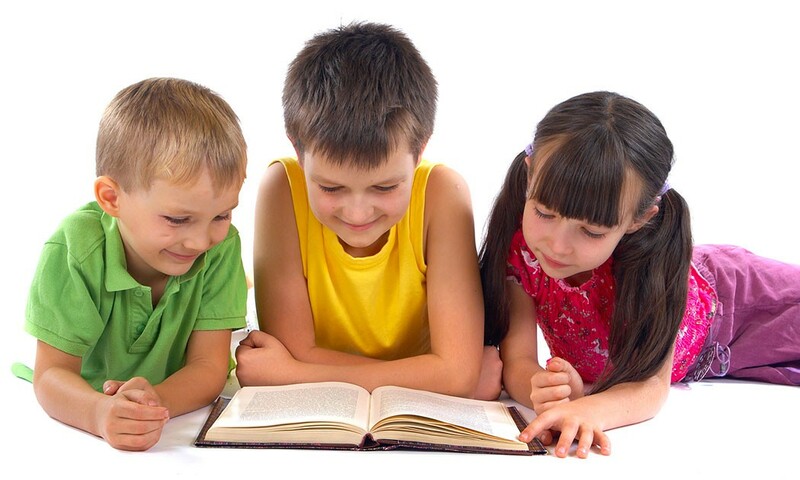 The research also indicates that reading with the family is time to cherish as a little one. With one in five stating that reading a bedtime story was their favourite childhood memory. Ian Cowley, managing director of cartridgesave.co.uk added: “Developing reading skills as early as possible is vital. Even in this age of emojis and Alexa, mastering the written word gives you a foundation to ensure you are equipped to tackle life. Take the time to read with your kiddies this summer you won’t regret it.